Helping Rhinos' team is spread across the UK and the USA, the two countries where the organistion has registered charity / NPO status. Simon has spent time on conservation projects in Africa, working specifically on rhino conservation. In 2012 Simon felt his perfect blend of experience in both the charity and business sectors, combined with an unwavering passion for wildlife conservation, and in particular the rhino could be used to greater effect. Jill is a fundraising and communications professional of more than twenty years and has an impressive track record in developing strategic partnerships for conservation organisations including The National Trust, The David Shepherd Wildlife Foundation and Care for the Wild International. Jill's first-hand experience of conservation issues has provided invaluable support to wildlife conservation NGOs in Namibia, Zambia, Uganda and South Africa and she is credited with having raised significant funds for numerous conservation projects. She remains as determined as ever to help make a difference. Jill joined Helping Rhinos in June 2015 and in that time has seen significant growth in both revenue and worldwide support. Liz has had over twenty years’ experience as an Executive Assistant and Events Planner in London over a wide range of industries. She now lives in Bedford with her husband, son and two dogs. Liz’s parents are huge wildlife fanatics having travelled to Africa many times but her love for wildlife and conservation was encouraged more from her son, who now aged 9, is a hugely passionate rhino enthusiast with dreams of becoming a Zoologist and rhino conservationist. He visited Kruger with his parents in 2016 and from then on, with the help of Liz, they have gone on to raise money and awareness for rhino conservation. 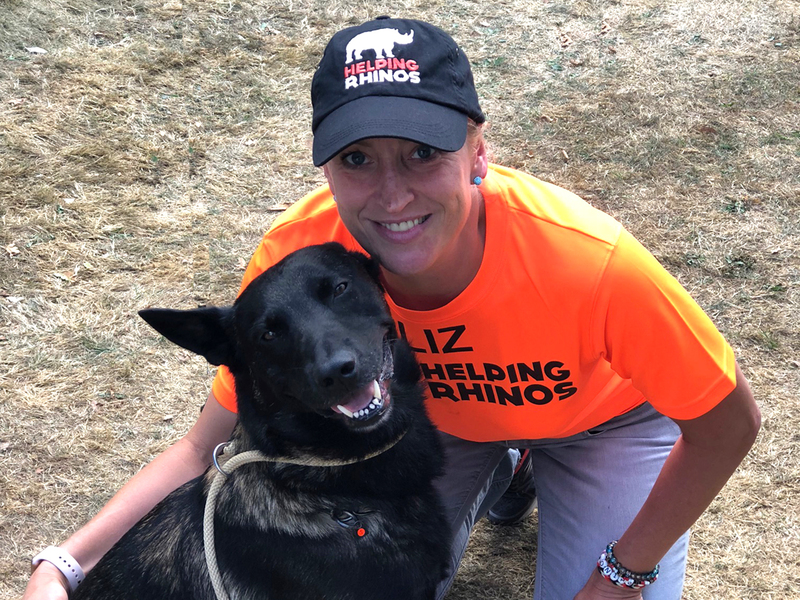 Liz joined Helping Rhinos in September 2017 and works on a wide range of administrative and event planning projects. Tracey has had a lifelong interest in wildlife, and after a visit to Kariega Game Reserve in South Africa, where she heard the tragic tale of Thandi and Themba, she was moved to try and find a way to actively help with the plight of the rhinos. She was a primary school teacher and tutor, and believes that spreading awareness through educational initiatives will play a huge role in saving rhinos from extinction. Tracey lives in Oxfordshire with her family (and rather dopey black Labrador), and works as a proof reader and community centre assistant. Tracey is responsible devloping the student activity books, available to download on our Rhinocation page. Phil lives in Kent in the UK and, along with his partner Tina, is responsible for all things merchandise. Phil and Tina attend all of the Helping Rhinos events and set up and run our stand – often supported by their children Aislin and Rachel. Phil will often take time off work to travel the length of the country to make sure he can support our events. More recently, you may also find Phil or Tina inside our rhino costume, entertaining children and adults alike. In addition, Phil is a very talented poet, and if you keep an eye on our social media pages you will often find a poem about rhinos that Phil has penned. As CEO of the UK branch of Helping Rhinos, Simon also has a place on the Board of Trustees. Simon has a perfect blend of experience in the both the charity and business sectors, combined with an unwavering passion for wildlife conservation, which make him perfectly placed to advise on key conservation topics and strategy that must be agreed at Board level. Like Simon, Trish has a longstanding passion for wildlife conservation, and with her husband Phil, owns a property on a game reserve in South Africa. The reserve that Trish calls home for much of the year is proud to have rhinos located on it and is also within the area of operation of the Black mambas, a Helping Rhinos partenr project. Trish is determined to play her part in helping to find a solution to the current poaching crisis. John brings a wealth of business knowledge and experience to Helping Rhinos having spent more than 30 years working for American Express before deciding to seek new opportunities outside of corporate life in late 2012. John has always had a passion for wildlife conservation and is delighted to have the opportunity to play a role in saving the rhino. Duncan started his career in accountancy and after a few years in the profession entered the world of insurance, where he has spent the last 20 years working in both the UK and overseas. Duncan is responsible for helping the Trustees understand the financial position of the charity and for helping them make decisions on funding for projects. Duncan heard about Helping Rhinos through one of his work colleagues and the passion with which they described the plight of the rhino prompted him to get involved. Cherique is a conservation and wildlife producer, self shooting director and writer. Raised in Southern Africa’s bushveld, she has a great sensitivity, understanding and appreciation for nature. Cherique's production career has taken her all over the world. 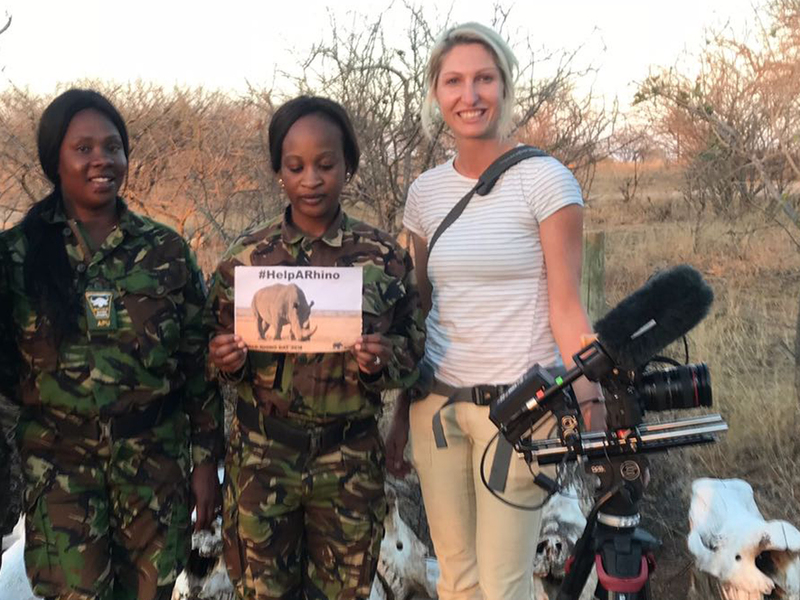 After almost a decade in mainstream television including National Geographic, Netflix and the BBC Natural History Unit, Cherique is now focussing her skills on impacting nature conservation on the front line through her production company. Cherique spends a lot of her time filming and researching in the field with the people protecting nature. Being raised in the African bush also means she is not phased by roughing it a bit in order to put the spotlight on important messages! James is a biodiversity scientist and conservation strategist focused on developing and implementing solutions. With over 20 years of experience across 16 countries, he has led and supported dozens of community-based conservation projects globally. Danoff-Burg emphasizes collaborating with local communities and has also consulted with the governments of the Dominican Republic, Cambodia, United Arab Emirates, and Japan. James is confident that we can reverse the decline of rhinos by ensuring that we work together to protect these majestic natural treasures. Rand retired from the Hewlett-Packard Company in May 2009, after a twenty-seven year career in the Corporate Legal Department. He finished his career as Senior Counsel and Legal Affairs Manager for the Imaging and Printing Group in Rancho Bernardo, California. After retiring, he served for three years on the Board of the San Dieguito River Valley Conservancy, including over two years as President. In addition to his association with Helping Rhinos USA, Rand currently serves on the Board of two other non-profits, the San Diego Natural History Museum and the Hewlett-Packard Retirement Club of Southern California. Rand also enjoys travel, writing, and photography in any spare time he is able to find. Andy is the Associate Curator of Mammals at the San Diego Zoo Safari Park and has worked in the Zoological industry for over 30 years. He was a member of the opening team at Disney’s Animal Kingdom in Florida. Andy's daily responsibilities include exhibit facility design, coordination of animal shipments, staff hiring and evaluating. He manages a staff of 70 people, including Animal Care Managers, Animal Care Supervisors, Keepers and Exhibit Attendants. He has accompanied animal shipments and worked on conservation projects in many countries including Mexico, Vietnam, India, Japan, Kenya, Tunisia, Sri Lanka, Laos, Mongolia, Oman, and throughout the Middle East. Simon founded Helping Rhinos in the UK and brings an essential link between Helping Rhinos in the UK and USA, ensuring that our strategies and objectives have a global and aligned approach.